“Do you have the soul of a slave or a free man?” That’s the question the mistress asks the man when he tells her he’s been sold into slavery but he doesn’t deserve to be one. Her response prompts in him, a question, not about his circumstances but of how he got to those circumstances and what he wants to do about them. Sira, the mistress, says, “If a man has in himself the soul of a slave, he will become one no matter what his birth, even as water seeks its level.” If you let the years pass by contentedly without doing anything to change your circumstances, then you have the contemptible soul of a slave, who has decided to allow life to just happen to him, to allow his master to choose for him, without rebellion or revolt. But the soul of a free man looks at life as a series of problems to be solved and then solves them. The free man works to change whatever unfavorable circumstance has befallen him. This appears in one of the many stories in this little book, The Richest Man in Babylon. It’s a book to inspire financial success but it’s so much more than that. The book is philosophy, motivation, fantasy, story-telling, religion all in one.The story above also appears in the Bible as the story of Joseph – sold into slavery by his brothers, he works hard and his integrity recommends him to others until he works himself into the highest position in the land. 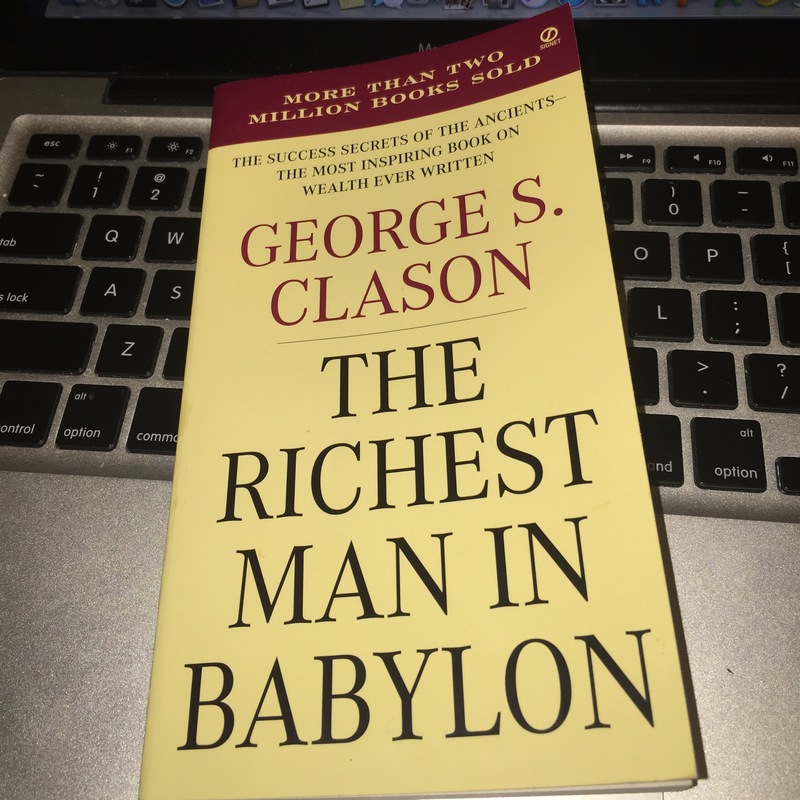 About a year ago, a friend recommended The Richest Man in Babylon to me, and since then, it’s shown up on almost every book list I’ve shared with others. It’s a small book, very reader friendly, and costs less than $10 but the stories in here, if you follow them, can be worth so much more for your life.